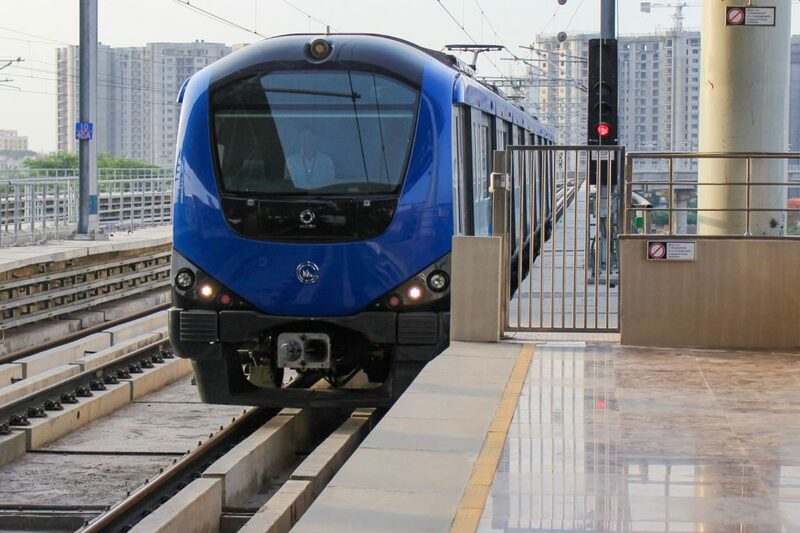 Chennai: The work on the elevated stretch of the phase I extension of the Chennai Metro Rail is all set to begin. The firms NCC Limited & Simplex Infrastructure Limited have been awarded the contract to construct six metro stations & viaduct from Tondiarpet to Wimco Nagar. The work on this stretch is likely to be completed and open to public by 2019. The phase-I extension project, estimated to cost Rs 3,770 crore (approx US$ 583.5 Million) just saw the completion of tunnelling work from Washermanpet to Korukkupet. The work on laying track & other work such as construction of cross passages will be taken up soon. This stretch runs underground from Washermanpet to Korukkupet and then runs as an elevated corridor up to Wimco Nagar.